NEW EDITION INCLUDES NEW RESEARCH ON HBOT AS A GENE THERAPY TO TREAT TRAUMATIC BRAIN INJURY (TBI) AND OTHER DISORDERS. For those affected by these seemingly “hopeless” diseases, there is finally hope in a proven solution: HBOT. Hands down the best discussion available of current HBOT research and applications. This should be mandatory reading for any physicians dealing with chronic inflammation and neural insults. 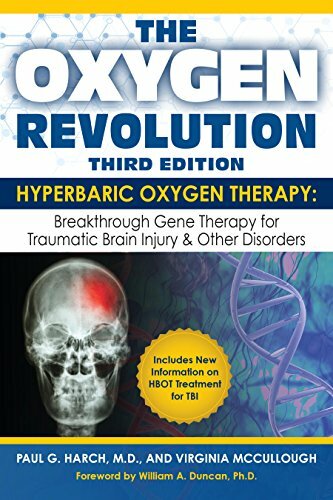 This book presents a very readable overview of the applications and healing mechanisms of hyperbaric oxygen therapy that will be of interest to many. I have read my copy three times and I am still fascinated by the information. It is a must read and a must have.